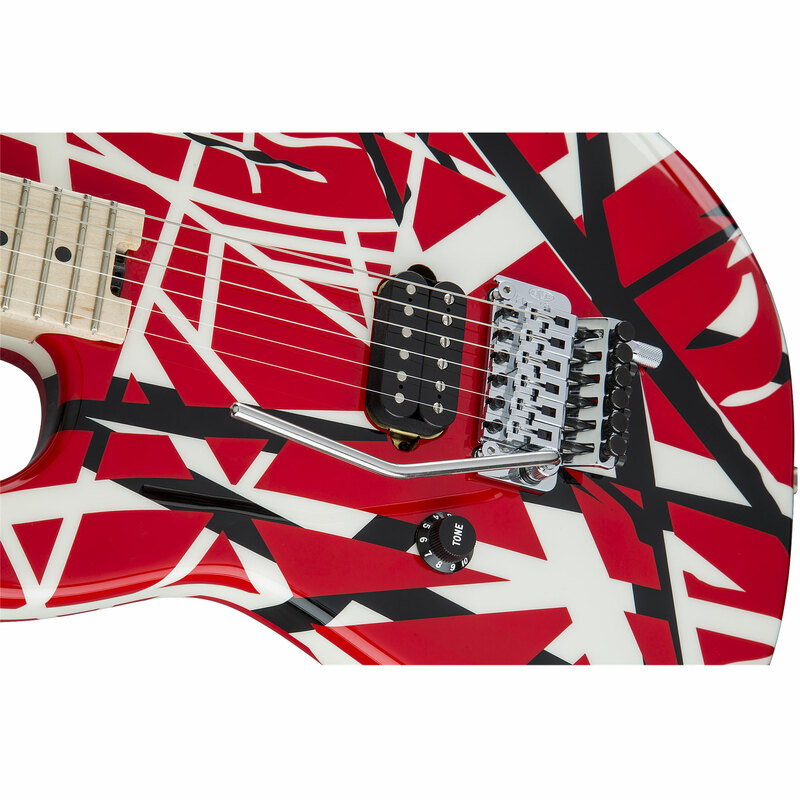 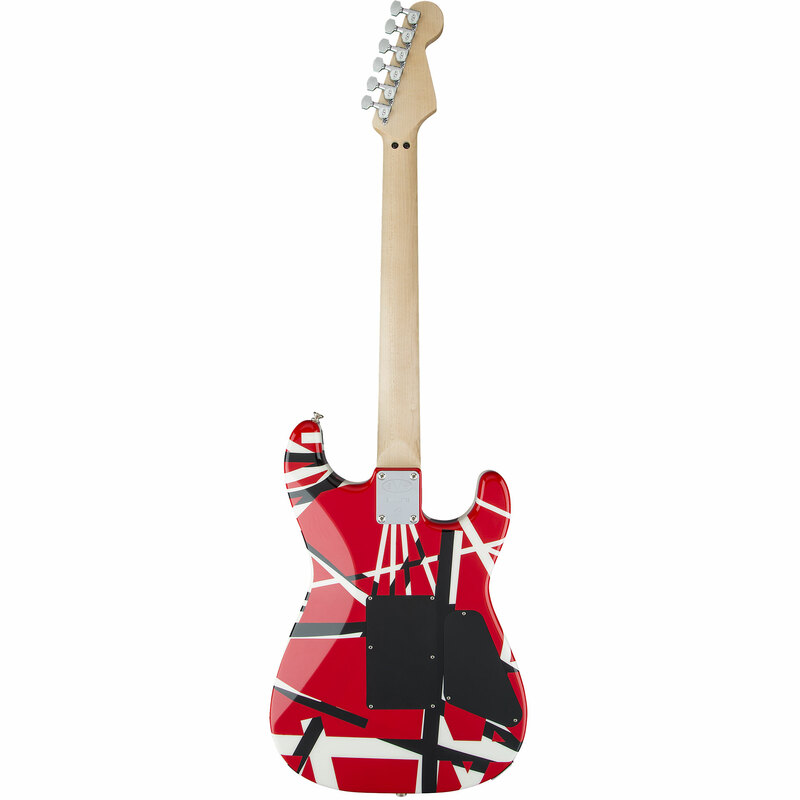 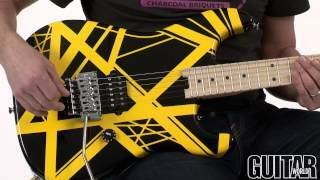 The EVH Striped Series guitar features a basswood body decked out in Eddie Van Halen’s famed striped graphics, in red with black stripes, black with yellow stripes and white with black stripes. 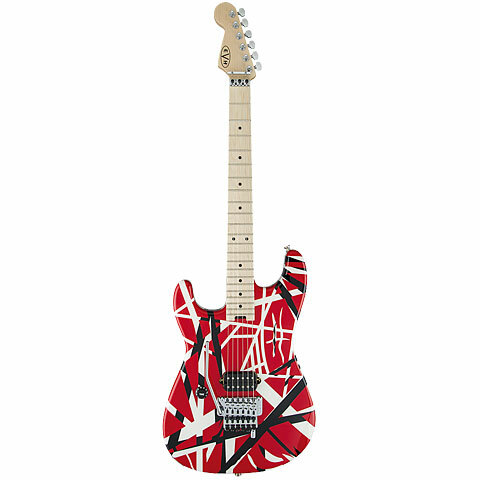 The guitar also has a graphite-reinforced quartersawn maple neck and a single ferocious direct-mount Wolfgang® humbucking pickup. 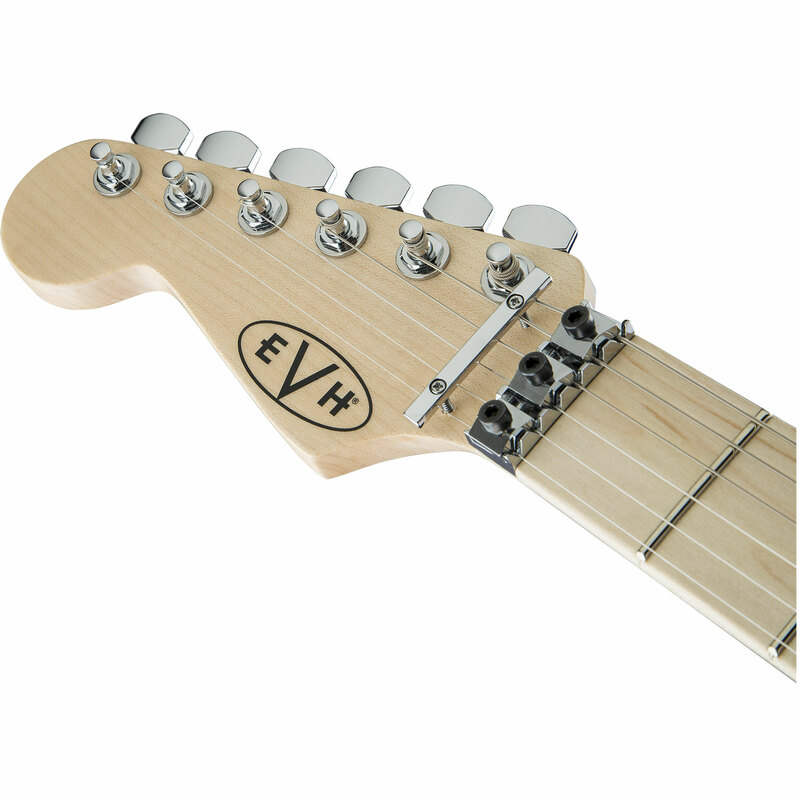 “tone”), bar string retainer and Floyd Rose® locking nut, EVH-branded Floyd Rose® locking tremolo with EVH D-Tuna®, EVH die-cast tuners and - due to the collaboration with Fender - a Fender-sized headstock. 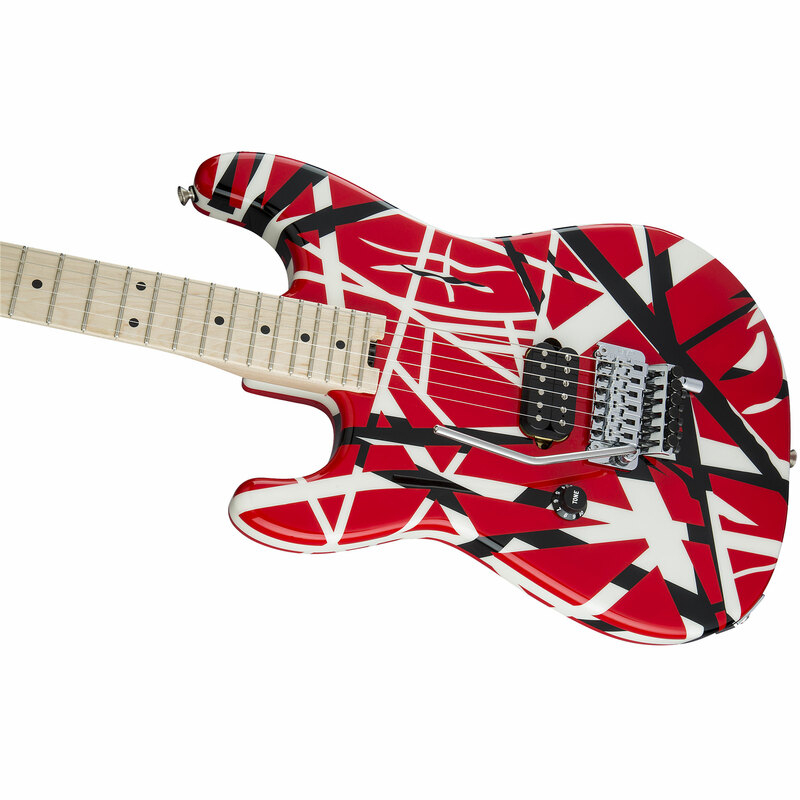 · Show all articles of the brand EVH.